iLDM-150 0.2 to 229 ft Professional High Precision Laser Distance Meter with iPhone Bluetooth and Tilt Sensor NEW!! 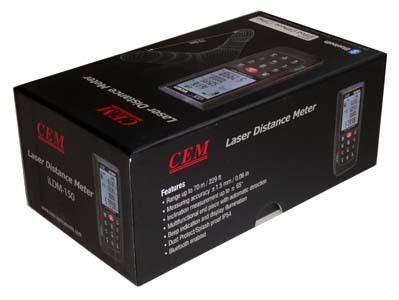 This is a brand new iLDM-150 certified digital radiation scanner from Ruby Electronics. 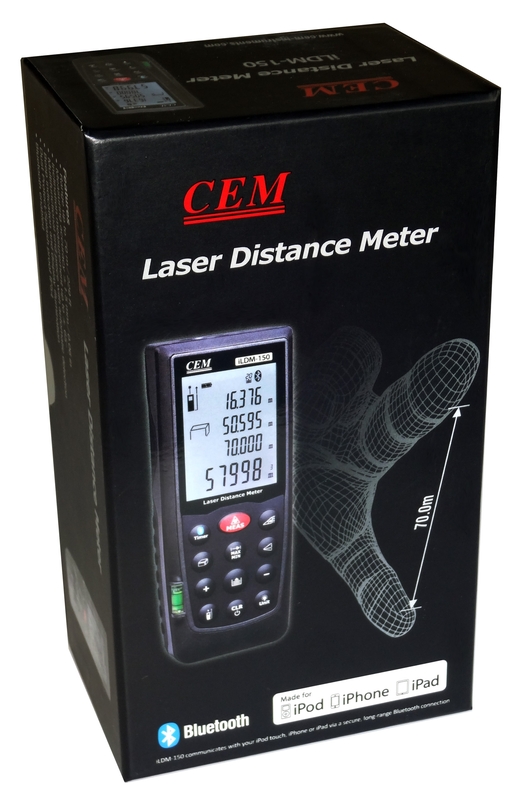 This professional Laser Distance Meter is designed to give user a high accuracy distance measuring and estimating tool to measure remote and difficult to reach places. 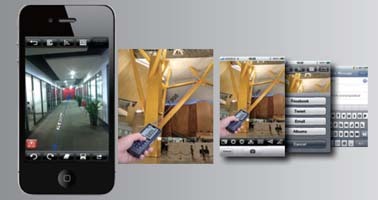 The compact and handheld design for indoor applications. 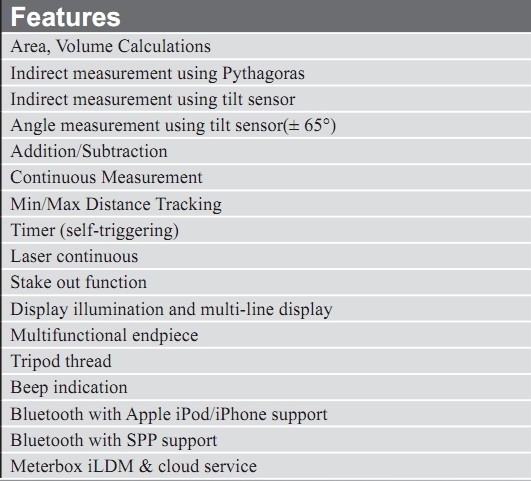 Shortcut keys for addition, subtraction, Pythagoras, area and volume calculation make measuring fast and very reliable. 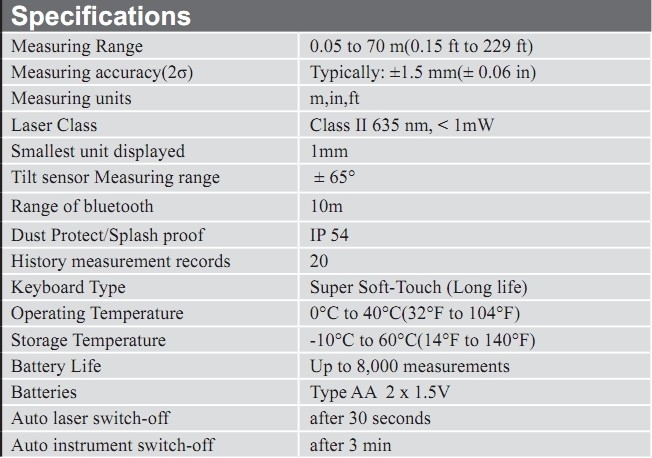 The last 20 measurements are also stored in the meter. 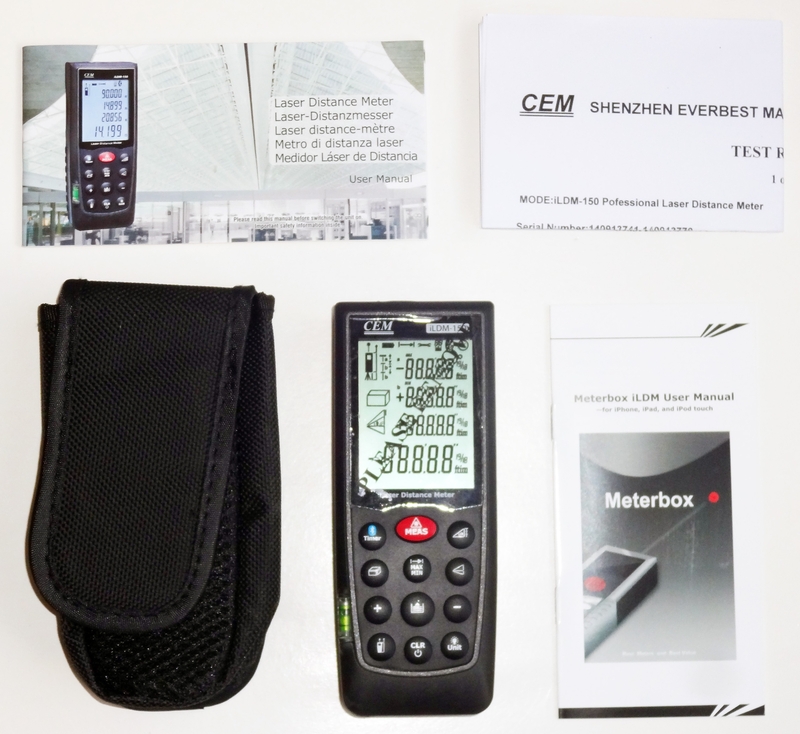 This product comes with Meterbox iLDM software & cloud server support to transfer the measured data to the customer's smartphone for edit and storage. 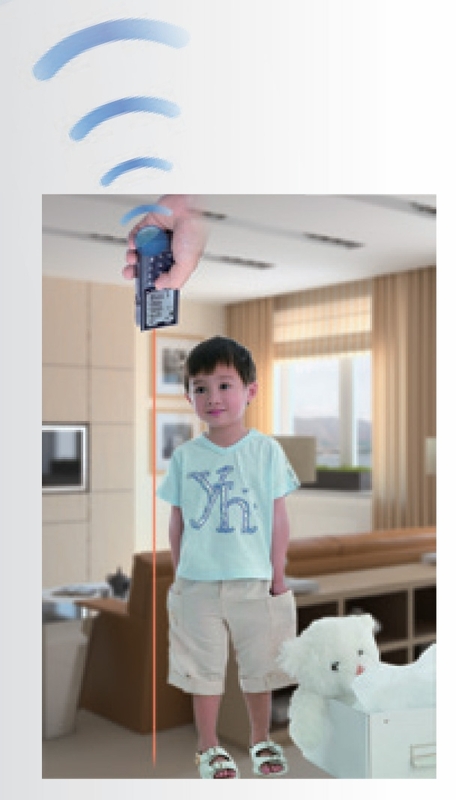 160 g ; 5.6 oz.